Notice the careful language, including terms such as “most,” “commonly,” and “usually.” It would be nice if there was a simple answer to the question, “what is a blog?” Unfortunately (or fortunately, depending on how you look at it), blogs come in all shapes and sizes. There is no simple answer. How about you? Have anything to add? In 2009, HubSpot, a producer of Internet marketing software, conducted a study of 1,531 of their customers. 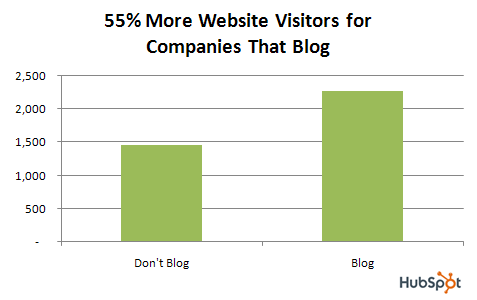 The study showed that the customers that blogged were receiving 55% more Web site visitors than those who did not. Inbound links signal to search engines that your site has authority, which improves your search engine ranking. 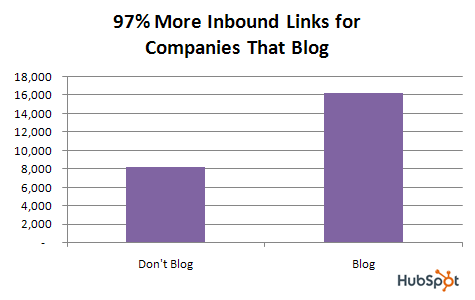 In the same study, HubSpot discovered that customers who blog received 97% more inbound links. Blogging increases the number of pages on your site (since each blog post is a new page), which, in turn, increases the number of pages that search engines index. 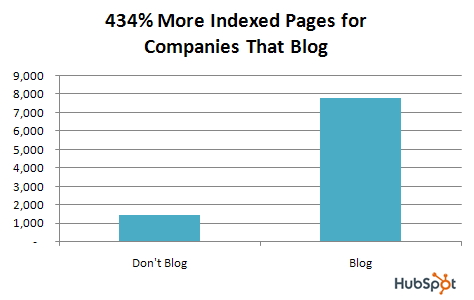 In fact, the study above showed that customers that blogged had 434% more indexed pages than those that did not. The number of indexed pages is important because each indexed page increases your chance of appearing in a search results page. Ultimately, it’s all about acquiring customers. If a marketing channel doesn’t lead to conversions, it doesn’t matter what the other statistics say, it is not worth the time and money. 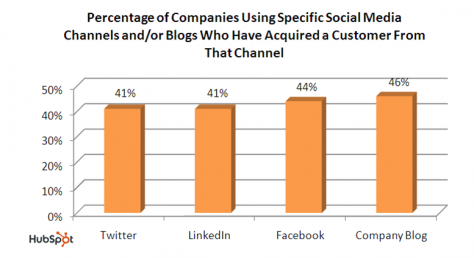 According to HubSpot’s State of Inbound Marketing Report, 46% of businesses with blogs have acquired a customer from that channel, making it the best social media channel as far as customer acquisition is concerned (and considering only the raw percentages). If you’re selling primarily to consumers, that number is 57%, which puts it in second place to Facebook, at 68%. So, what are you waiting for? It’s time to get started blogging. If you need a hand, give us a call toll-free and with no obligation. Or, check back here in a few days for tips on getting started with blogging.